NEED SOMEONE TO PRAY FOR YOU? John 14: 6 Jesus said to him, "I am the way, the truth, and the life. No one comes to the Father except through Me. Does anyone remember what it means when someone says, “No pain, and no gain”? If we always have it easy and everything is handed to us on a silver platter doesn’t make life better. When a blacksmith works on a piece of metal he heats it at very high temperatures and hammers on it until it is shaped right. To build strong character and integrity we must be shaped the same way. We have the perfect example of how this is accomplished by the sufferings of Jesus Christ. Hebrews 5:8 though He was a Son, yet He learned obedience by the things which He suffered. Yes, Jesus was the Son of God and He suffered many things to strengthen His mettle. (Word History: By the 1500s, English metal had also come to mean “the stuff one is made of, one’s character,” but there was no difference in spelling between the literal and figurative senses until about 1700, when the spelling mettle, originally just a variant of metal, was fixed for the sense “strength of character.”) Jesus Christ suffered so He understands how to help us shape our character to have divine mettle! 1 Peter 5:10 But may the God of all grace, who called us to His eternal glory by Christ Jesus, after you have suffered a while, perfect, establish, strengthen, and settle you. Let Christ shape and perfect you into a fine work of spiritual character, strength, and integrity! 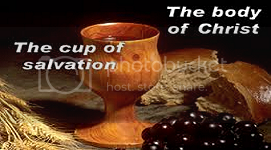 Categories: ENCOURAGEMENT, PROVOKING THOUGHTS | Tags: character, inspiration, integrity, Jesus Christ, living sacrifices, mettle, spiritual character, spiritual formation, spiritual growth, spirituality, strength of character, suffer for Christ | Permalink. 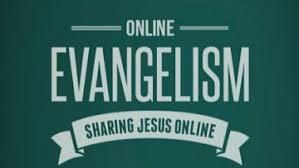 Evangelist, writer, ministering to the lost thru the internet. Sharing Christian love in God, Jesus and the Holy Spirit. Are you prepared?... Eternity is real! The burden of his call,sermonizer and a churchman,fear God heed his word. Psalms 91:4 He shall cover you with His feathers, And under His wings you shall take refuge; His truth shall be your shield and buckler.